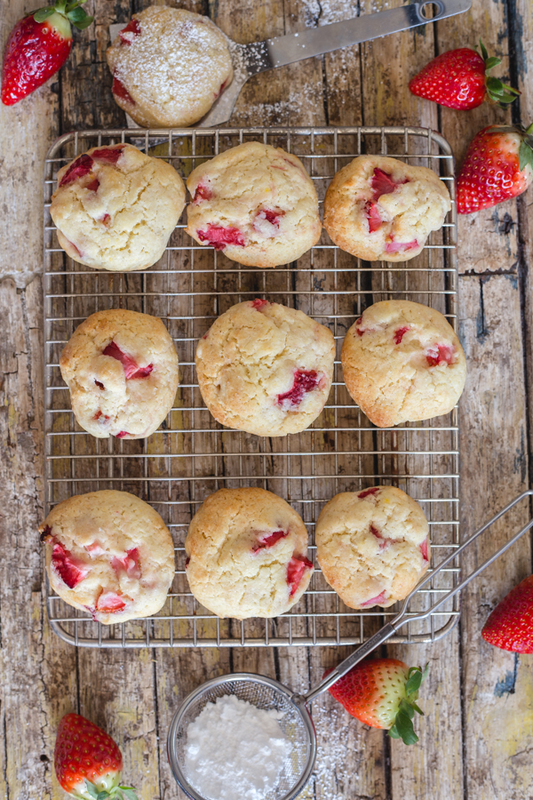 Easy Strawberry Cookies made with Fresh Strawberries and baked in 15 minutes. One bowl, no beaters necessary, soft, delicious cookies. The perfect summertime cookie recipe. 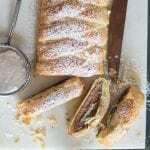 Sprinkle a little powdered sugar or drizzle with melted chocolate and make them extra special. I am now starting to get into strawberry mode. 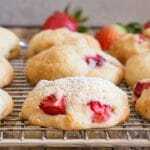 And since the season has just started here in Italy, I knew I had to make a batch of Strawberry Cookies again. And to tell the truth I have been on a roll these days with “recipes the Italian won’t share” including Strawberry Cream Cheese Strudel , Chocolate Panna Cotta with a tasty Strawberry Topping and this popular Strawberry Mousse, of course these cookies are still on the list. I really hope you are not sick of strawberries yet, because I still have a couple of recipe waiting in the wings! But these cookies I just had to post. 1. They are really good and make a great snack. 2. All you need is one bowl, a whisk and a spatula. 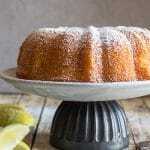 In a large bowl whisk together the egg, juice, oil, vanilla and sugar, until well combined. Gently fold in the chopped strawberries just until combined. Either form into balls or drop by spoonfuls (approximately the size of a golf ball. Place on cookie sheets, sprinkle with a little sugar and bake for approximately 15 minutes. By the time strawberries are finished here in Italy I will be making my way to Canada to be re introduced to them for the start of the summer. So I might just have to think of a few more recipes. Do you plant strawberries? I can remember every year I would plant my own Strawberries in Pots and my kids could not wait for the first strawberry to appear. 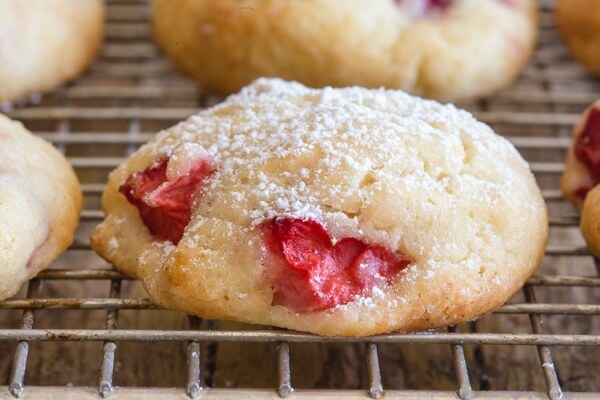 There is nothing like home grown strawberries especially in Strawberry Cookies. Enjoy! And while you are at it why not plant a few tomatoes in pots too! 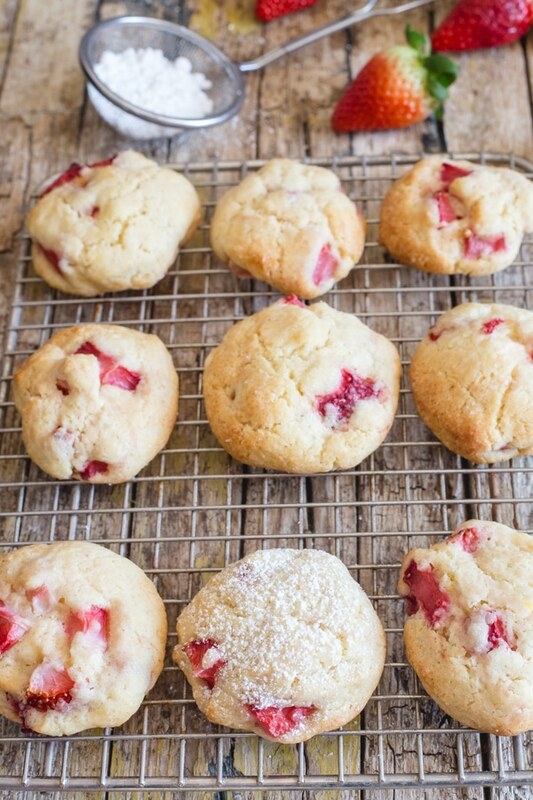 Easy Strawberry Cookies made with Fresh Strawberries and baked in 15 minutes. One bowl, no beaters necessary, soft, delicious cookies. Pre-heat oven to 350F (180C) line 1 or 2 cookie sheets with parchment paper. Add flour and baking powder and mix until combined, gently mix in the chopped strawberries just until combined. Form into balls (approximately the size of a golf ball. Place on prepared cookie sheets, sprinkle with a little granulated sugar and bake for approximately 15 minutes. Let cool completely and enjoy! Dust with powdered sugar before serving if desired. Delicious! My toddler son loves the Beatles and was singing Strawberry Fields, then asked for strawberry cookies. 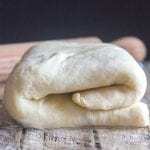 I found this recipe and made these today – I also added finely chopped pecans. Will definitely make again! Hi Sara, your toddler has great taste and glad you enjoyed the cookies. Have a great weekend. Hi, what type of sugar do you use for the cookies (1/2 cup + 2 tablespoons sugar)? Granulated sugar or icing sugar? The sprinkle is using icing sugar? Hi Jennifer, yes the sugar is granulated, I only used powdered sugar when the cookies had cooled and just before serving. Hope that helps. I updated the instructions, thanks. Hi Lisa, you can, but just be aware that the cookie may be more moist because frozen strawberries contain extra water, so do not let them thaw but toss them with a teaspoon of flour. Hope that helps. Let me know how they turn out. I just made these and they were so good. Everyone loved them, thanks for the recipe. Hi Ann thanks so much, so glad everyone loved them. Have a great Sunday. Hi Monica, thanks so much and so glad your daughter liked them. And great idea using different fruit. Have a great week. These cookies are awesome and so easy. My 4 year old daughter just made a batch and it turned out perfectly. Thanks for the recipe! Hi Farah, thanks so much and I love it that your 4 year old daughter is baking. Have a great weekend. Can you substitute coconut oil ? Hi Paola, apparently you can, although you should melt it then cool it first. Hope that helps. Have a great weekend. These cookies look amazing! I’m wondering though, my daughter has Celiacs but would adore these. 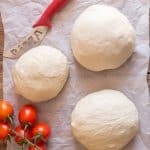 If I were to sub out Cup4Cup or another GF flour, would I need to make any other adjustments to the recipe? Tried tonight with GF flour. It was Møllerens brand (I’m in Norway, sorry), the Fin melblanding, and the cookies came out just perfect with a 1:1 ratio. I’ll spare you translating the ingredients in that blend if you’re needing to know exactly what is in it: maize starch (Maisstivelse), rice flour (rismel), and linseed (flax) flour (linfrømel). I hope that helps! Hi Melissa, thanks so much, so glad you enjoyed it. And yes that helps so much for the GF flour substitution for anyone that is interested. These cookies are really good!! Just a snap to mix up and bake and make me think of little strawberry shortcakes. Thank you so much and I look forward to trying more of your recipes. I always had strawberry plants growing up, but I never had great success with them. 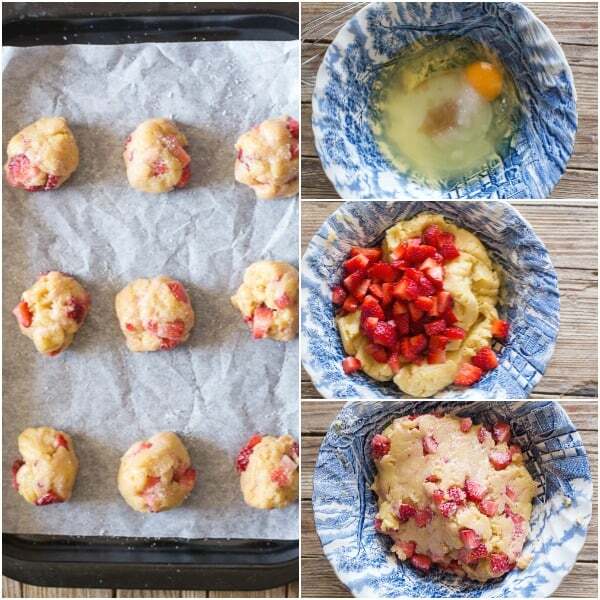 I can’t wait to make these cookies, I love that you used fresh strawberries. Hi Christina, thanks so much I hope you enjoy them. Let me know. 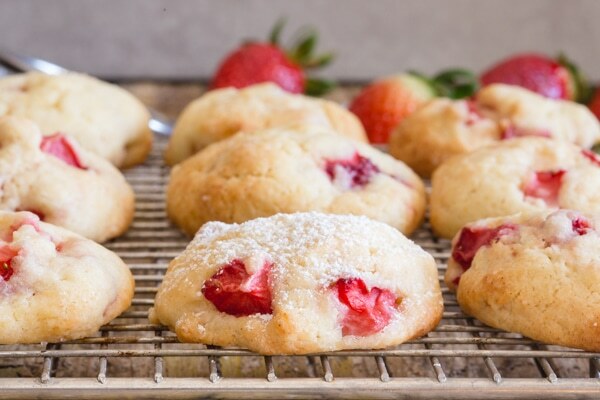 These tasty strawberry cookies are so fun and perfect for spring! Love them so! Hi Jenn, thanks so much. And yes perfect for spring. Have a great weekend. Wow, these were so easy and delicious! I drizzled white chocolate over the top, yum! Hi Dana, thanks so much, so glad you enjoyed them, and white chocolate is a great idea. Have a great weekend. I just finished making 3 batches of these for work – they turned out amazing! My question is : since they’re made with fresh fruit, do they need to be refrigerated? I’m worried about them sitting out overnight, but I also don’t want them to get soggy! Hi Becca, thanks so glad everyone loved them. I left mine out overnight. If your house is overly warm I would probably refrigerate them. Be sure to store them in an airtight container either way. Hope this helps.